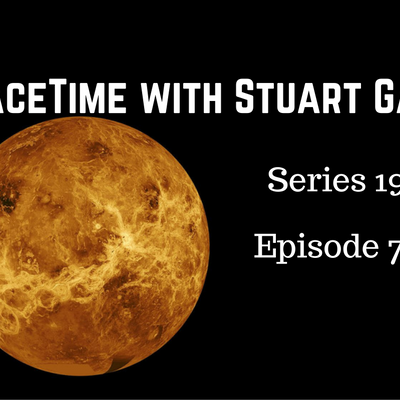 Stream episodes on demand from www.bitesz.com and www.spacetimewithstuartgary.com (both mobile friendly). Series 19 Episode 77: *Recently active lava flows detected on Venus A new analysis of data from the European Space Agency's Venus Express mission has found evidence of volcanic activity on Earth’s sister planet. The findings add to a growing body of evidence that Venus may still be geologically active. The origin of Rosetta’s comet A new study claims Rosetta’s comet 67P/Churyumov-Gerasimenko most likely originated in the Kuiper Belt. This distant origin for 67P implies it would be made from primordial material, that existed in their current form since before Earth was born. Soyuz trio return safely to Earth Three expedition 49 crew members have returned safely to Earth following their 115 day mission aboard the International Space Station. The successful landing was also the first atmospheric re-entry of the new Russian Soyuz MS-01 capsule which had been on its maiden flight. China ready to fly its new Long March 5. There’s growing evidence that China is getting ready to fly its new Long March 5 heavy lift rocket for the first time. The new heavyweight launcher is capable of lifting over 25 tonnes into low Earth orbit -- that’s more than the European Space Agency’s Ariane 5 ECA and roughly as much as the United Launch Alliance’s Delta IV heavy. Subscribe, rate and review SpaceTime at iTunes, audioBoom, Google Play Store (US & Canada only...sorry), Pocketcasts, Podbean, Stitcher, Tunein Radio, Radioline or any good podcatcher app.